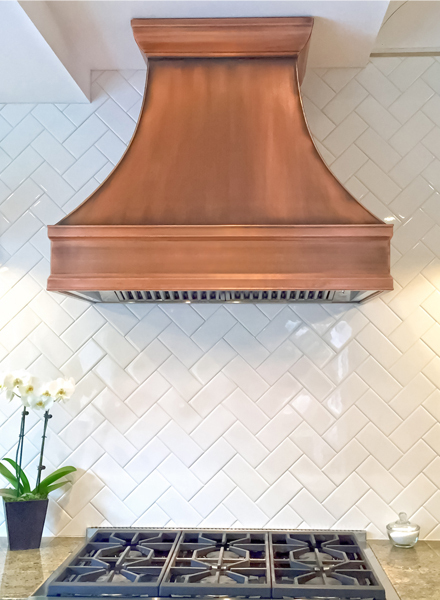 Our Wide Camellia Range Hood has been one of the most popular designs and it never goes out of style. 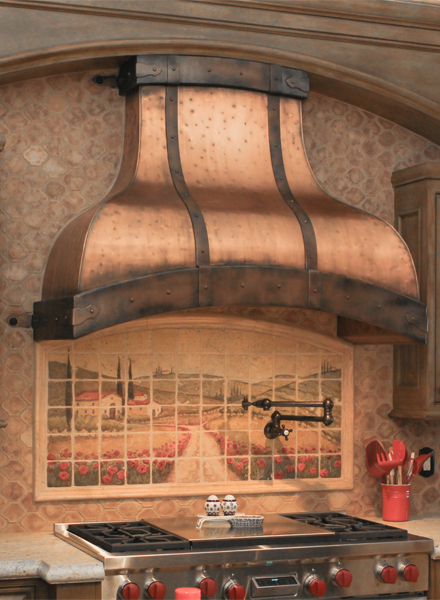 The unique configuration of the wide camellia range hood design make this hood a very attracting focal piece! The distinct features are continuous horizontal straps to compliment the wide concept, while vertical straps help pronounce the bell shape curvature. Four beautiful patina colors all naturally finished in light, medium light, medium and dark patinas. 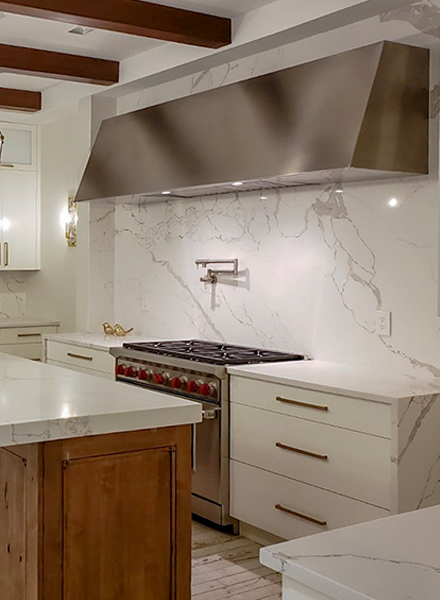 If you have extra room between cabinets, we recommend overlapping your cooktop by a few inches on each side to achieve the best surface area coverage. 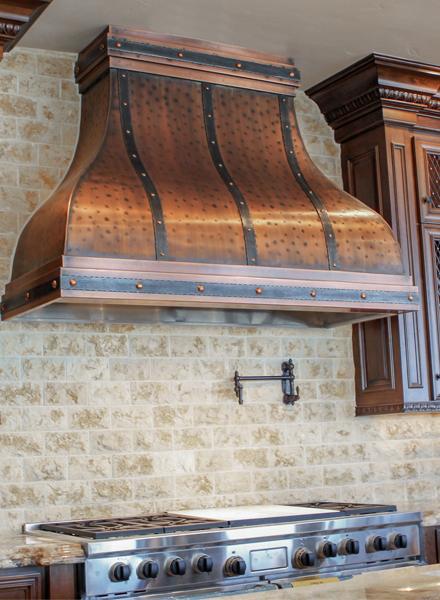 It’s recommended to set your wide camellia range hood 30”- 36” above your cooktop. 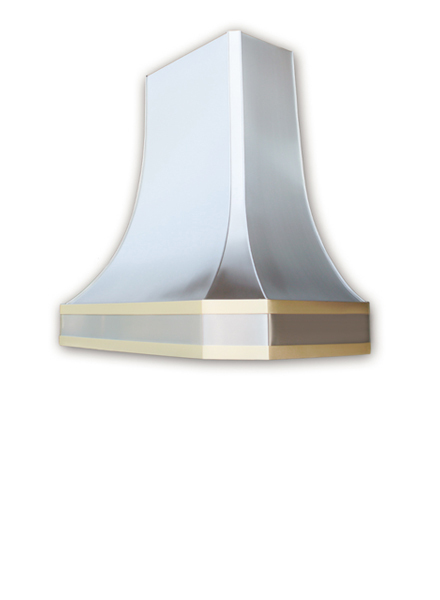 We recommend it to be in the middle at 33” for the best ventilation and easy access to your fan controls. 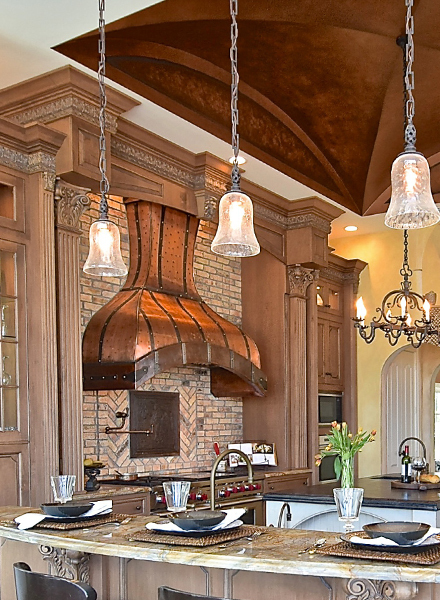 Don’t settle for less, let us build a luxury range hood that will make you want to cook all day! 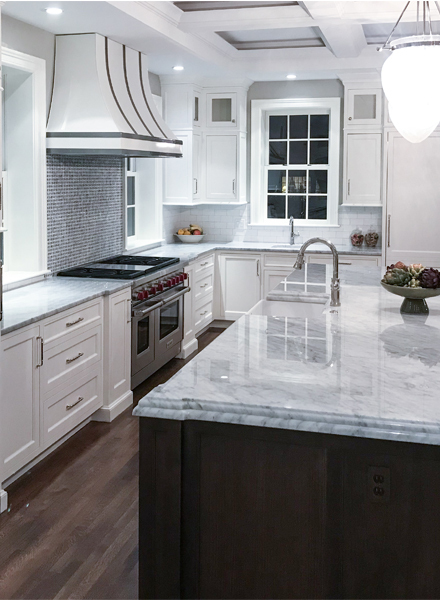 Experience easy to use interface with LED lights and optional automatic 5 minute shut off timer. Dish washer safe, commercial-grade, and stainless steel baffle filters makes it easy to clean and maintain. 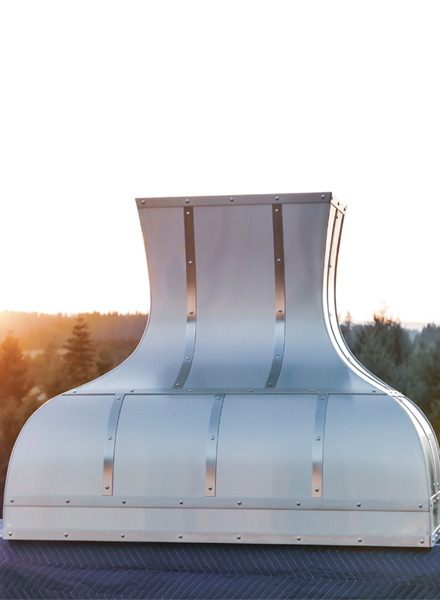 Large baffle filters are designed to reduce air movement sound for quiet performance. Rubber mounted large motor and squirrel cage blower also reduce any sound and vibration noises. Tell us how many burners you typically use an average and we’ll set the insert blower to best suit your needs. 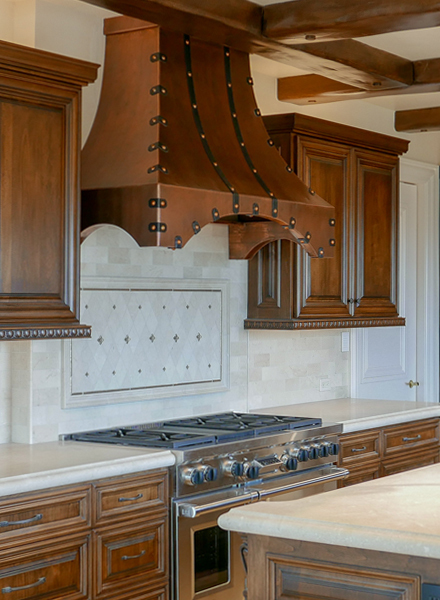 Secondly, the bottom of the range hood should be 34” above your cooktop, give or take a few inches, to see where it’s comfortable for you. 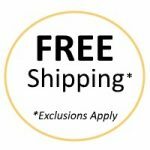 Available CFM power options of 390 (Code Compliant), 600 and 1200 CFM. 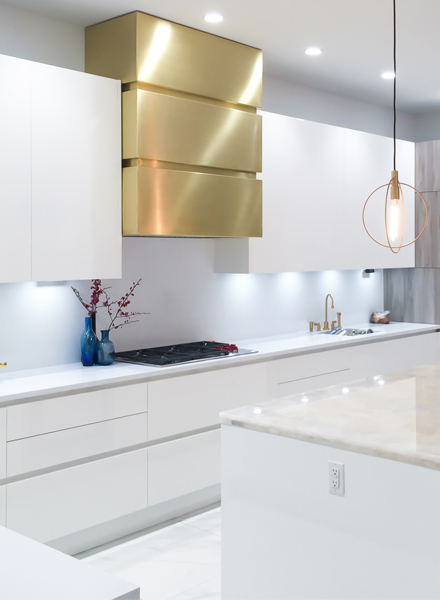 For more information, view our range hoods resources guide, where you’ll find how-tos on installation, cleaning, maintenance and more. Don’t be nervous! 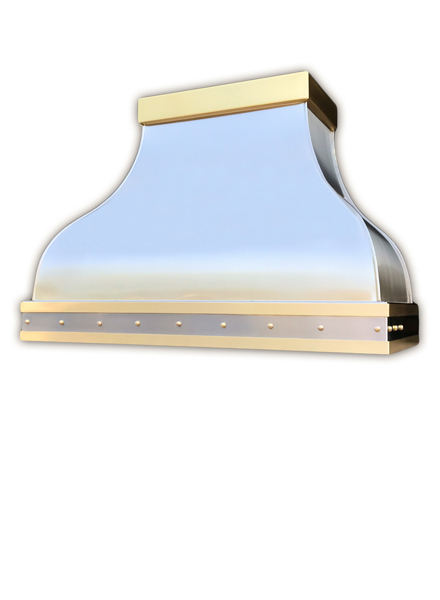 Our range hoods are lacquered and will never change color or turn green on you. 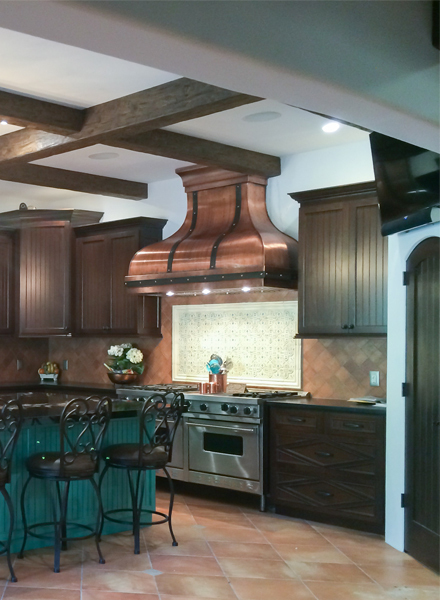 Easy to maintain and will never require any additional lacquering or waxing. No scrubbing or brushing needed, simply wash with soap, water and a soft towel. 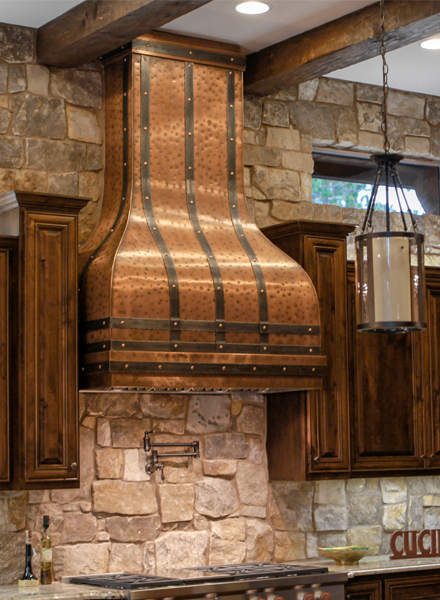 Copper hides well any kind of build up but if you notice some, then its time to clean! 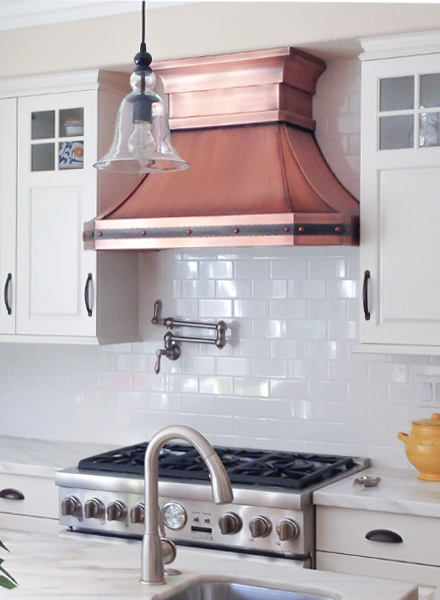 Healing Wounds: If you nicked your range hood or made a scratch copper deep, don’t worry! Allow it to heal on its own. 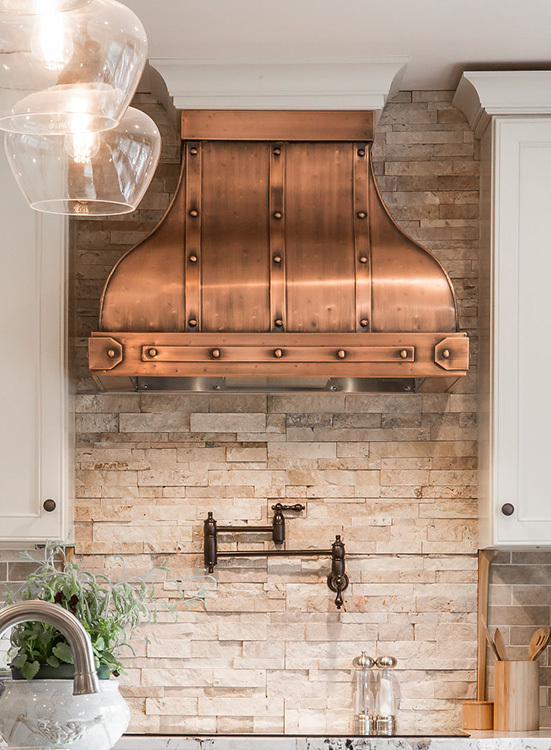 If you can’t wait and want to hurry the process, just add some lemon juice or vinegar with salt and watch the copper do its magic!